We had the privilege of returning to Notre Dame Health Care's Corporate Event for the 2nd year! This event featured a full service bar with cocktails served before an elaborate buffet dinner. This year's attendance was even larger than the year prior and had guests from all ages in attendance! Additional entertainment was provided by a trio of singers who played acoustic guitar that we piped into our sound system providing them with clear audio and vocals for the whole room to enjoy. The staff were also provided with awards for years of service and various other merits for their hard work and dedication to Notre Dame Health Care's employment achievements. Last year's event started off with "What the fox says" instructions on the dance steps, this year following in that same format, we started off with a "Karaoke Style" rendition of the "YMCA" but instead modified to "NDHC" with a complete set of custom lyrics! It was a wild rendition and everyone really got into the fun spirit that set the mood to get people ready to party! We were able to mix out of the custom rendition and mixed directly into the original version of YMCA ultimately energizing the dance floor and rocking it for the rest of the night! 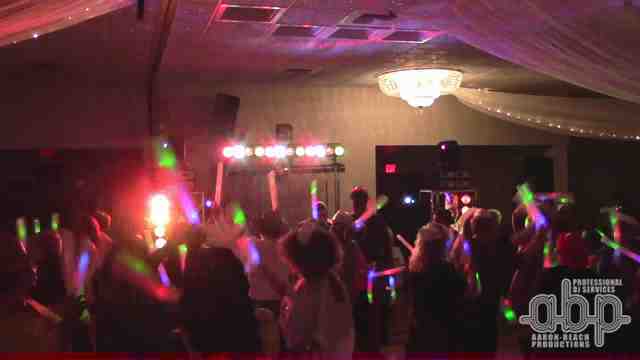 Adding a new element, the organization purchased LED lighted foam sticks for people to dance and have fun with on the dance floor adding a great visual effect! Music consisted of several different genres and generations from old to new, people were clapping, dancing and having a great time. Everyone had a blast and the night was a wonderful success. We look forward to seeing them again!